Greece is an excellent medical tourism destination that combines exquisite natural beauty with a rich cultural heritage. In recent years, more and more visitors from all over the world choose to combine their vacation with Plastic and Aesthetic Surgery services. Specialized plastic surgeons offer a full range of invasive and non-invasive treatments in cooperation with highly trained medical and nursing staff. Plastic surgery procedures are performed in state-of-the-art clinics making the patients feel safe and comfortable. Visitors can organize their trip, stay at luxury hotels with their families and take part in organized excursions. There are many tourist destinations with exotic beaches and archaeological sites all over mainland Greece and on the Greek islands. Apart from our own tourist packages, visitors can also choose the place they want to visit. Dr. Varnalidis is a plastic surgeon who is board-certified by the Greek Committee of Plastic Surgery (HESPRAS) and the European Board of Plastic Reconstructive and Aesthetic Surgery (EBOPRAS). 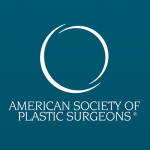 He is a full member of the American Society of Plastic Surgeons (ASPS), of the International Society of Aesthetic Plastic Surgery (ISAPS) and a member of the International Confederation for Plastic, Reconstructive and Aesthetic Surgery (IPRAS). Dr. Varnalidis and his team offer a full range of Plastic, Aesthetic and Reconstructive Surgery services. BodySculpture offers specialized and customized services using modern techniques in order to achieve pleasant, permanent and natural results. The advantage of medical tourism in Greece is that you will regain your self-confidence, while being on vacation. The painless techniques and the short recovery period required for both invasive and non-invasive treatments ensure your pleasant stay in Greece. Most of the procedures are one day clinic (ODC) procedures and they are performed in specialized and certified clinics. A certain postoperative protocol is followed in order to monitor the postoperative course of the patient and ensure that they have a smooth recovery. Choosing the right plastic surgeon is a matter of utmost importance, as they need to be moral, sincere, scientifically trained and able to make the right surgical decision each time. The treatments and techniques that are used should always be customized and scientifically substantiated. Safeguarding your health is our number one priority. If you wish to learn more about our services, please fill out the Contact Form or Call Us at +30 2310 222 844. 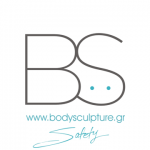 Our goal is to inform you about the safety of Plastic Surgery procedures for medical tourists. Plastic Surgery procedures include Reconstructive and Aesthetic Surgery procedures and they are only performed by board-certified and fully trained plastic surgeons. You can find every board-certified Greek plastic surgeon on the website of the Hellenic Society of Plastic Reconstructive and Aesthetic Surgery (HESPRAS). before you make your choice. Every surgical procedure entails a degree of risk. However, this risk is minimized by choosing the right and properly trained plastic surgeon. Plastic Surgery procedures, whether aesthetic or reconstructive, need to be customized depending on the problem. Providing you with the right information is an important step in ensuring your safety, as well as a successful postoperative outcome. 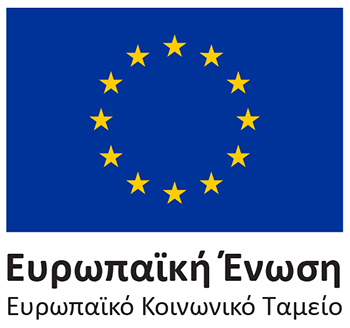 Considering a nose job (ρινοπλαστική)? Copyright © 2019 BodySculpture. Πλαστικός Χειρουργός Dr. Ι. Βαρναλίδης | All Rights Reserved. Pri­vacy Pol­icy - Πολιτική Προστασίας Δεδομένων.